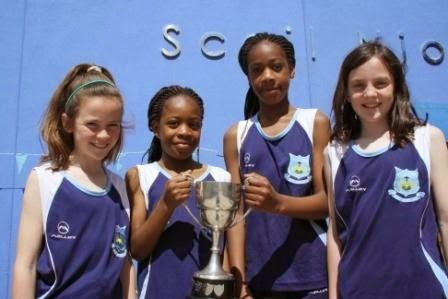 Well done to our girls sprint team who took home the overall prize at the Cork School's Sports. 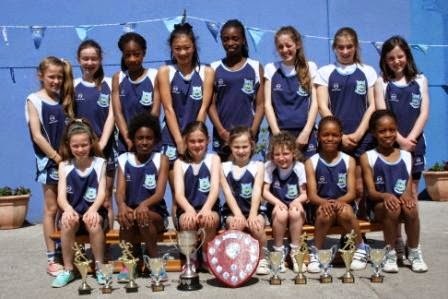 Well done to our U 11 Relay team who won their County Final. Congratulations to our camogie team on reaching the Sciath na Scol Final. Led by their coach Miss Roche, the girls were unbeaten in their group games and hope to continue their good form into the final. Well done to the girl's captain Louise Velon who has been selected for the Cork Primary Game Team. Louise will be in action in Semple Stadium, Thurles, on Sunday May 25th during the Cork vs Waterford Munster Quarter Final. Third class pupils and their teachers, Ms Quigney, Ms Downing, Ms O’Callaghan and Mr O’Connell who worked hard on their experiments so that they would be ready for the annual DPS exhibition. We are delighted with their efforts and they showcased those experiments very well on the day. The year long work comes together in a log book which is posted to Dublin in order to attain our award. It will be the school’s 9th ninth DPS award.